" The coolest way to enjoy your event "
Looking for something unique and fun? 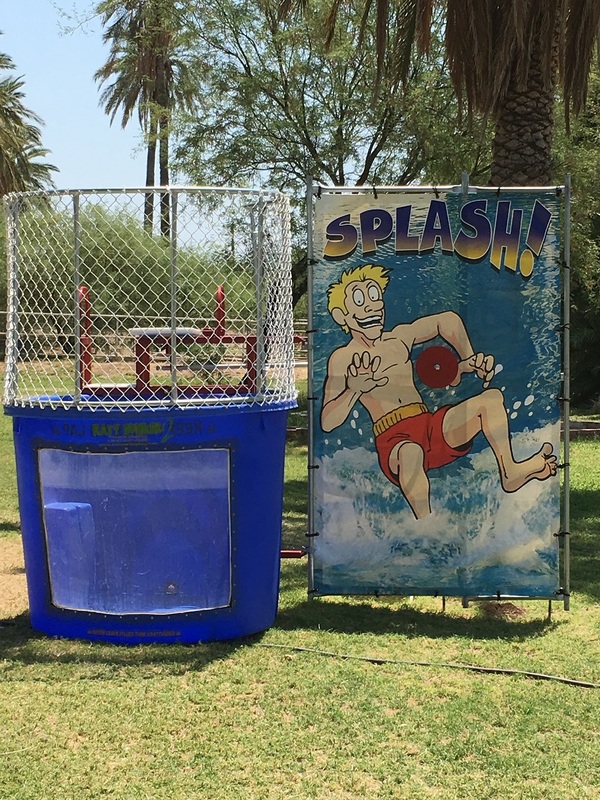 Renting a Dunk Tank for your next party or special event can be a wonderful way for you and your guests to enjoy getting together. 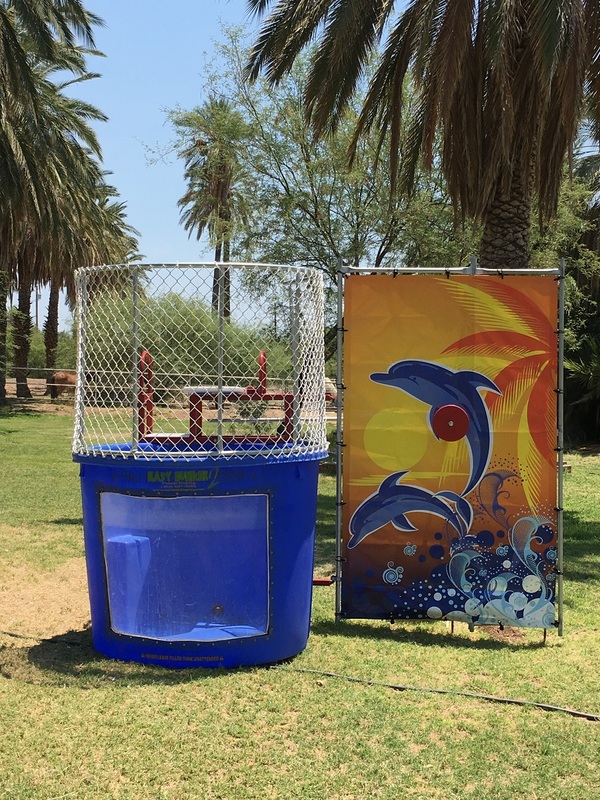 Dunk Tanks are a great addition to any event or can be the centerpiece of your party. These full size Dunk Tanks are portable so they can go almost anywhere. All of our Dunk Tanks come equipped with a built in view window which enhances the experience for everyone. Why settle for a generic dunk tank? A Child's Joy knows each client is unique and wants to express themselves in different ways. That's why we offer a variety of styles so you can make your party or event your own. Our dunk tanks are priced competitively which means that for about the same price as you can find a plain generic dunk tank from someone else, you can have a unique upscale one from A Child's Joy for just about the same cost. A new twist on an old favorite. 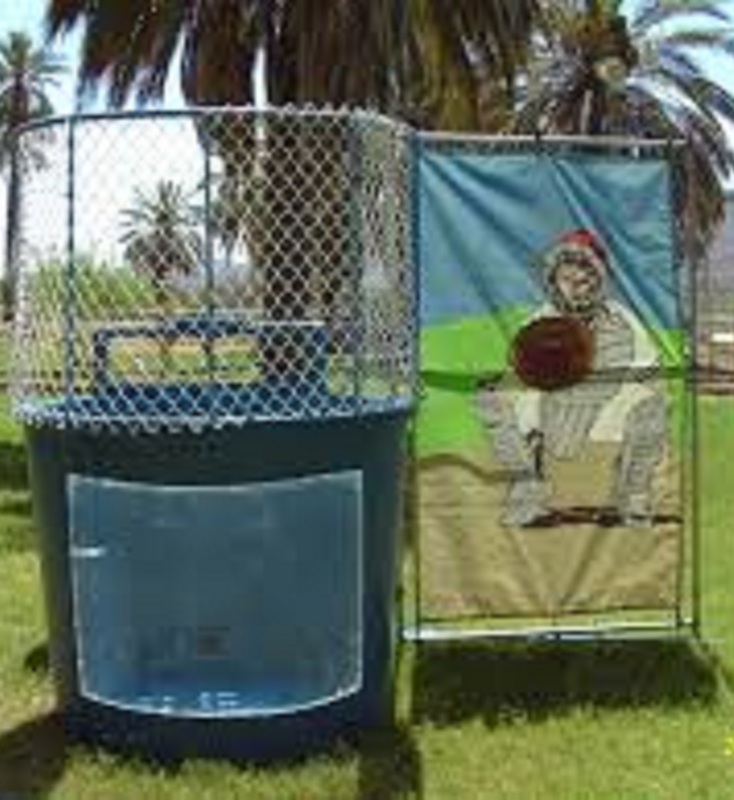 With this game, the victim (I mean player) sits under a bucket of water. When the target is struck it unleashes a drenching on whoever is below! This game allows anyone to participate. It's great for preschoolers who can't swim, people with disabilities that cannot climb onto a dunk tank and is a big hit with senior citizens at retirement homes who are still a kid at heart. 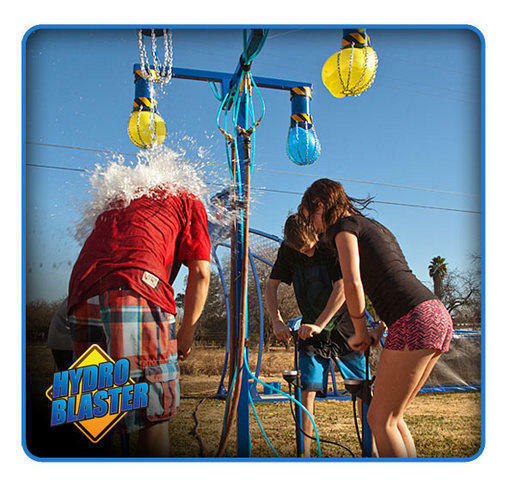 Adding this to any event will make your party a big splash! Two players compete by pumping air into each other's water balloons. 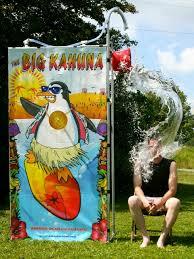 The person who pumps fastest will pop the balloon hanging over their opponent's head drenching them in the process. This fast paced exciting game is a great way to get the party started. It's the perfect addition to any pool party or can be used anywhere. Even if your participants aren't wearing bathing suits, they will have a blast getting wet with this fun new game. The younger ones love these kiddie powered paddle boats. Our Power Paddler Lagoon is an inflatable pond that holds enough water to float your fleet of boats. This lagoon is usable year round as its designed to keep the kids from getting in the water. 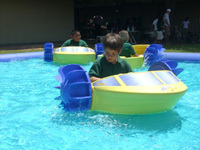 The boats can also be rented separately to be used in your own pool as the ultimate pool party pool toy!